If there’s one thing people are serious about, it’s their morning brew. 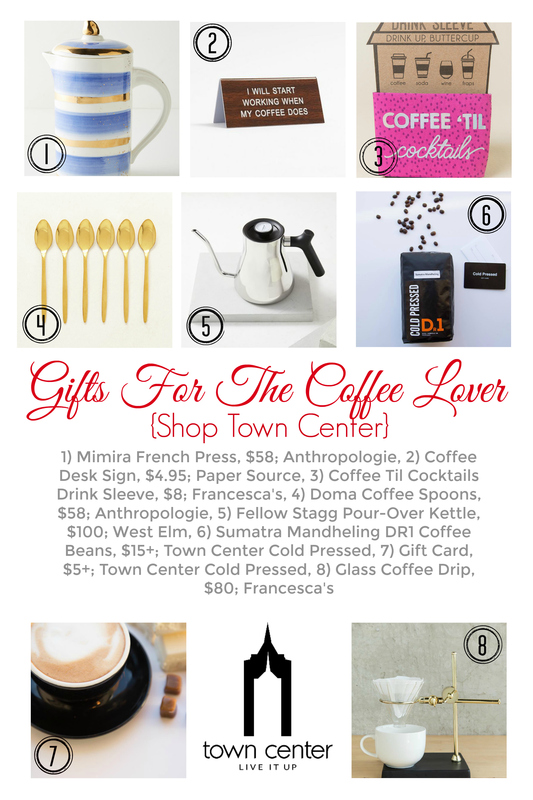 If you’re drawing a blank for what to get the coffee lover in your life this year, consider one of these gift ideas found in Town Center of Virginia Beach. For the coffee to-go lover, consider a gift card to locally owned Town Center Cold Pressed. For the home coffee maker, check out the latest coffee gadgets and accessories from Anthropologie, West Elm, Paper Source and Francesca’s.